Fajer Al-Kaisi is an actor for the stage and screen as well as an experienced voice over artist and audiobook narrator. Fajer is an Iraqi born Canadian Citizen who grew up in Montreal Canada and now resides in New York city. He holds a masters in Fine Arts from the University of Texas at Austin (Hook em Horns!) where he studied under such notables as Franchelle Stewart Dorn and Lee Abraham. 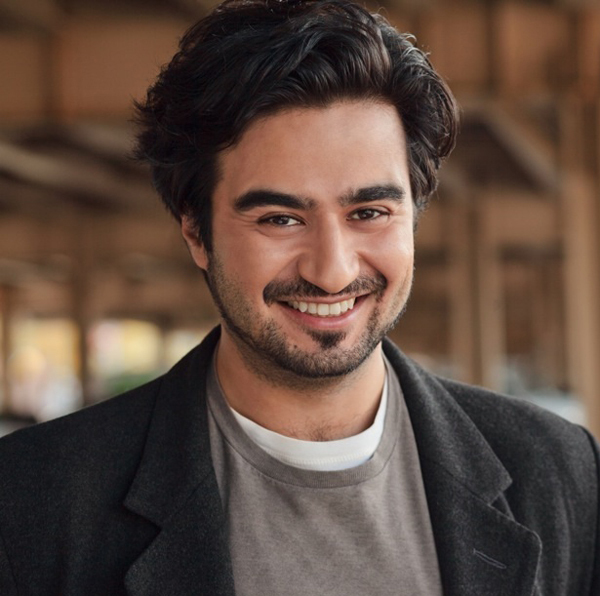 Fajer has appeared in a number of television shows including Law and Order, 30 Rock, Nurse Jackie, The Blacklist, The Onion News Network, Person of Interest, Delocated, ABC news segment What would you do? with John Quinones and most recently on Hulu Exclusive, Deadbeat. His Film Credits include playing Karim the independent hit I’ll Come Running, The Callipine in the historical adaptation The Jew of Malta, and as Ahmed Al-Fatwah in the CBS movie of the week Time Bomb. Fajer’s first love is the theatre and he continues to work regionally and around the world. He has appeared as Tybalt in Romeo and Juliet and as Aeneas in Troilus and Cressida at the Oregon Shakespeare Festival, As Grahm/2 in the world premiere of Informed Consent at Geva theatre center and Cleveland Playhouse, and as Shahid the translator in the NYTW world premiere of Aftermath and the subsequent Arktype World tourMr. Al-Kaisi has been nominated for best Ensemble at the 2011 Drama League awards, and is a frequent collaborator and contributor with NOOR theatre in New York. As a Narrator Fajer has voiced several books available on audible.com including Beachhead, My Brother’s Keeper, Atmospheres Apollinaires, Act III in Patagonia, Ancient Near East: AVSI, Fives and Twenty Fives, The Last Illusion.